Dominican Republic grants trademark owner the exclusive rights of prohibiting any use by third parties of the registered trademark, except for the cases when use by third parties is legitimate and made as a consequence of any trade relation started by the owner of the trademark direct or indirectly when the product is put in the local or international market as long as product or good has suffered no alteration or modification whatsoever. Trade names are protected by law 20-00 and its rights are originated not for the registration but for the first use in commerce. Protection is granted even when not registered but is eliminated upon the abandonment of the trade name which takes place when no use of the trade name in question has been made for the last 5 years. General information on the applicant such as Country or State of incorporation (for companies), name of the representative of the company, passport number, and address. Description of goods and services to be protected. In the event priority benefits of the Paris Convention are to be claimed, it would be necessary to provide a certified copy of the application as filed in the country or origin. No further legalization is required. Power of attorney form duly signed by the applicant, notarized and then legalized before Dominican Republic Consulate nearest to the applicant’ s jurisdiction. 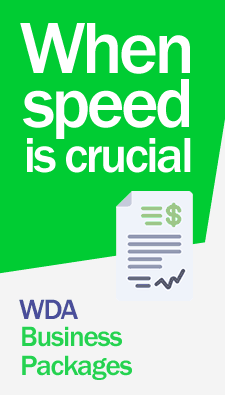 WDA will commence work on your trademark or tradename search immediately. For questions about this service contact us at [email protected].